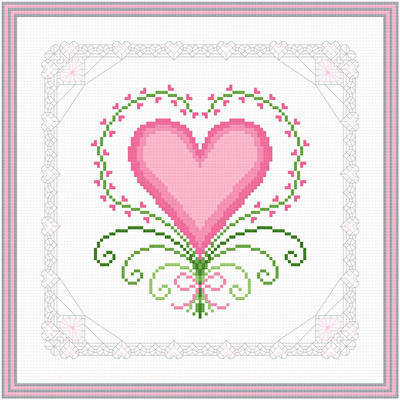 Hearts and Lace - Fancy cross stitch pattern... A Valentine heart is surrounded by sprigs of heart shaped flowers. The lace border features pink hearts. Whole and back stitches used. Colors may be changed.